The textile industry is evolving. As a conscious consumer, this is great since there are more and more ethical clothing options emerging. But it can also be confusing since, like personal care products, there’s no real oversight about “green” labels on fabrics. Right now during the month of June, we’re attending an online conference called Wear the Change Movement. Every day features a different speaker such as Adria Vasil from Ecoholic (See Noteworthy quotes from her bestselling Green guide book), Jenise Lee from Cert Clean (we knew them when they started as Clean Care!) and Emma Rohmann from Green at Home. Day one of the conference featured an interview with Kelly Drennan, founder of Fashion Takes Action. Kelly brought up some interesting points about textiles and had the following tips on choosing healthier, more ethical clothing options that I thought I’d share. 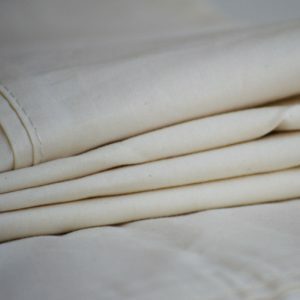 Cotton: one of the most pesticide- and fertilizer-intensive crops, so choose 100% organic cotton. Rayon: comes from wood pulp that is broken down with chemicals which end up in the environment (note: rayon is a process and a fiber). Bamboo: It grows fast and doesn’t require a lot of water. However, it is processed the same way as rayon. Closed loop processes are becoming more common, where the chemicals are recycled back into the process. Modal and Tencel: Made from trees in a closed-loop system (so better for the environment). 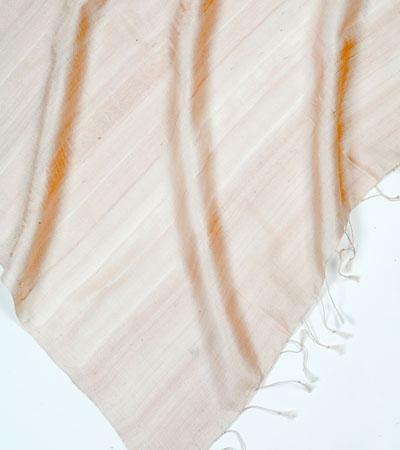 Hemp, silk, wool, etc. : Lots of other options, but aware of how specific products are made as they can still use chemicals. 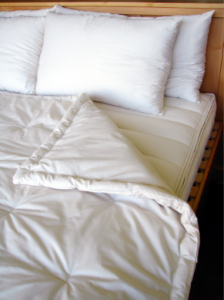 The bottom line is that whenever possible, choose natural and organic fabrics. At Organic Lifestyle, we take our product selection very seriously and look for 3rd party certified fabrics to offer you least-toxic options for your home such as (but not limited to) GOTS, Fair Trade, Greenguard, Oeko-Tex. Request – Please take a moment to read about the standards we look for here. Its part of our value statement to read the labels, so you (technically) don’t have to. And if you’re looking for some healthier (or naturally cooler) summer bedding options, you’re going to love these! Looking for a Non toxic solid wood crib? 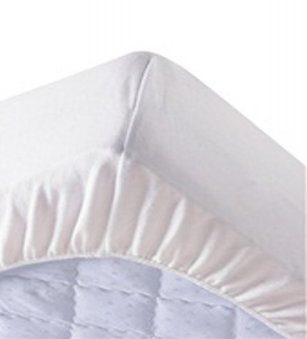 Mattress smell offgassing – How do I protect myself and my family? Live Organically on a Budget: It’s totally doable! Norah on What does organics have to do with politics? Lynn Bolender on What does organics have to do with politics?